The US Department of Transportation has awarded a US$90 million grant towards the urgent repairs needed to the Arlington Memorial Bridge. The bridge links Washington DC with Virginia across the Potomac River and carries more than 68,000 vehicles a day, as well as thousands of pedestrians and cyclists. Without a major overhaul, it would need to be closed to traffic in 2021. The grant will allow the National Parks Service to move forward immediately with planning and the start of the tender process so that construction of the first phase can begin early next year. Additional federal resources will be needed to complete the full US$250 million repair programme. 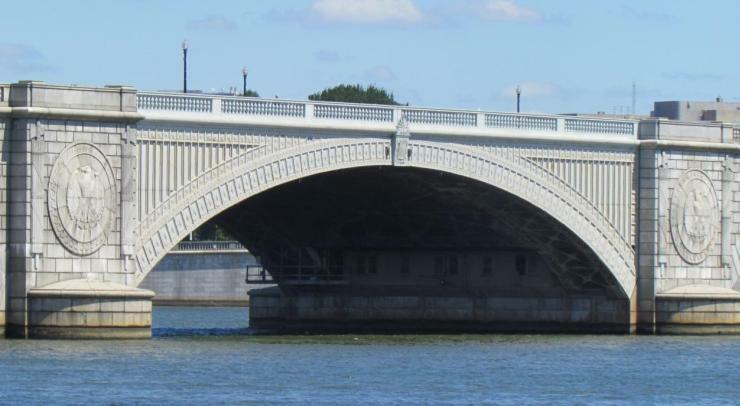 The Memorial Bridge, which was originally built in 1932, has exceeded its 75-year design life and is structurally deficient, having never undergone a major rehabilitation. Plans for the repairs were set out in May when the extent of the problems became apparent (link opens in new tab). Phase 1 will focus on the approach spans, which are the most in need of repairs, at a total cost of US$166 million. Completion of Phase 1 will allow the bridge to remain open until 2030 while additional actions are taken to complete Phase 2, the reconstruction of main bascule span.